ChorSymphonica’s musicians are dedicated to Music That Matters. Every one of our members are dedicated to using their artistic life to improve the lives of others, to inspire others to a more complete point of view, to reaching out to audiences with our music making through our concerts. This purpose guides and directs every rehearsal and every concert. Our music reaches people on a personal level, brings them to contemplation. ChorSymphonica is a project-based ensemble. We don’t meet on a regular basis for rehearsals, but come together for brief, intense work periods (“projects”), which culminate in performances. Musicians self-select for projects, depending on their own availability. In this way we can draw upon the range of qualified musicians throughout the region for our concerts. 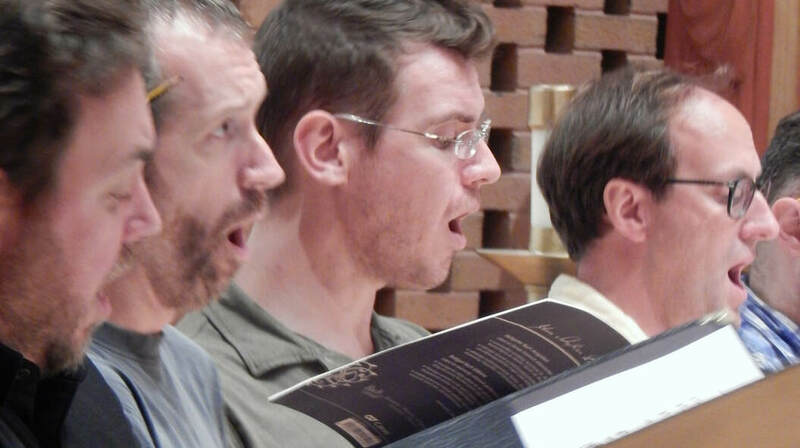 Soloists are drawn from the ranks of the chorus. The chorus sets itself apart by the standard of our individual singers, of whom almost all have earned graduate degrees in music performance. They have earned their place in our group through a unique and rigorous audition process. The Artistic Director/Conductor makes a final determination in a particular musician’s suitability for a given project, based on repertoire and ensemble requirements, and the audition profile of the individual singer. We are supported by grants from The Arts and Humanities Council of Montgomery County. Additional support comes from the Paul M. Angell Family Foundation, as well as gifts from the general public, and the 19/19/19 Campaign.